Laïka gives your dog an interactive friend unlike any other to play with. It’s there to help you pup feel less lonely while you’re away and keep them from constantly barking, chewing up the furniture or other bad behaviors. 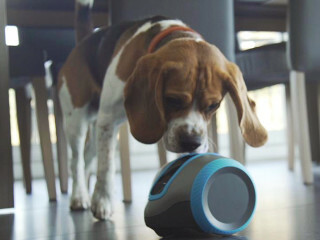 Laïka is the only companion that combines interactive play, a treat dispenser, microphone and live video into one device.